Dragging along my luggage’s from my over night stay at a hotel nearby in Bayswater. I was heading back towards the underground station, just before the station I saw the words “kayak tea available here” caught my eye; it seemed familiar to my favourite Malaysian Teh tarik tea. 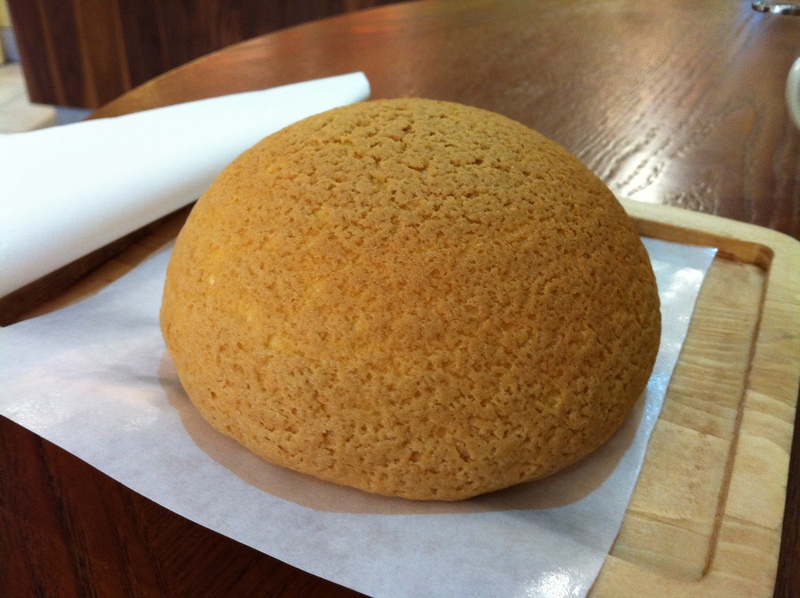 Upon opening the door, the aroma of Papparoti buns fills the air. Freshly baked on premises, these delicious coffee and caramel coating delivers a unique experience. Similar to cakes from a Chinese bakery, the bun is covered in a sweet coating on the outside with a lovely fluffy melt in your mouth dough. Once you get to the centre the surprise of a salted butter filling awaits. 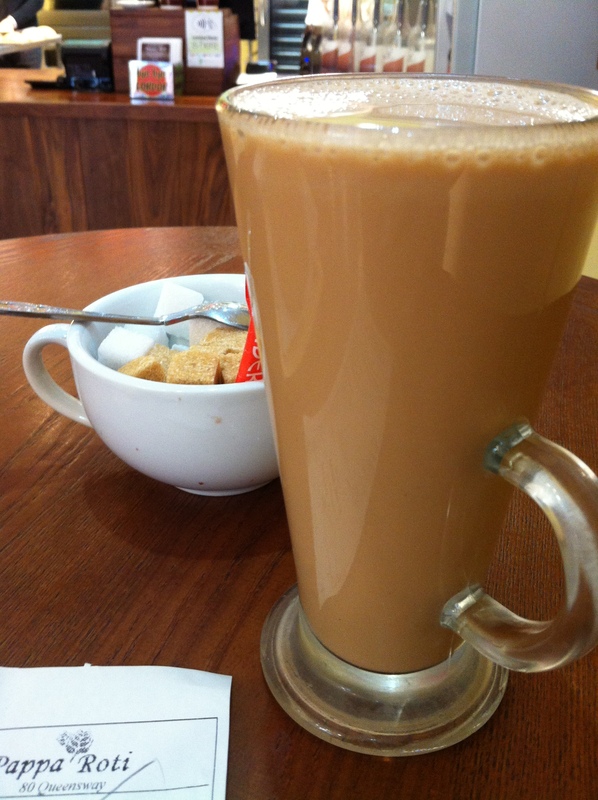 The Kayak tea is also delicious, similar to teh tarik but lighter. 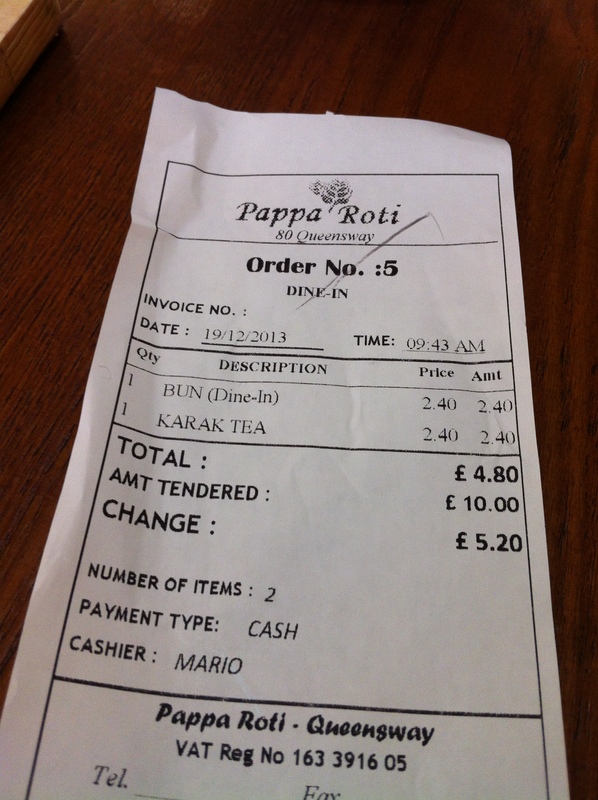 Currently there is only one London location of Papparoti, already popular around the world. The buns are a must to try!